Doula is an ancient Greek term that has come to mean "mothering the mother; traditionally a Doula is a trained labor assistant, but the concept now also covers perinatal education and support. 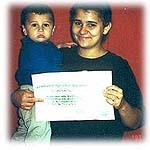 The Community Doula Program (CDP) was founded in 1996 by Nadia Stein with a seed grant from the March of Dimes, as a result of studies she helped coordinate in the late 80's, which showed improved birthing results when women received emotional support from a Doula (JAMA 1991; 265:2197-2201). Ms. Stein recognized the pivotal need for such services for teens and their babies, and the March of Dimes seeded the program. 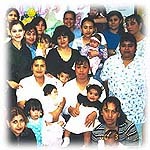 As a result of the program's perinatal outcomes (for example, consistently 35% lower rates of low-birth-weight babies compared to the national average for the populations served), Doulas were asked to replicate their services in 2000, leading to the review and formalization of internal procedures and data-tracking mechanisms and the establishment of additional service centers, particularly at Austin and Lee High Schools. In 2005 the Community Doula Program received very significant requests for service (from the City of Houston Health Department, the Harris County Hospital District and two HMOs), leading the Board to seek alternative organizational arrangements in order to meet the exploding demand. In the summer of 2006 the CDP merged with a strategic partner to serve the large clients wanting to implement the program's integrated perinatal approach.